Alternative strategies provide a valuable tool to help investors manage risk in their investment portfolios, but this growing investment category is often misunderstood. The investment category of alternative investments is perhaps one of the most challenging for both professionals and everyday retail investors to fully grasp. However, despite varying levels of misunderstanding of the category by many investors, it continues to show impressive growth over recent years. What accounts for this strong growth trend for alternatives? It is an investment that can perform independently from stocks and bonds. It has a relatively low correlation to traditional investments. It can be added to portfolio allocations to mitigate risk and/or add alpha to the overall portfolio. There are numerous money managers and financial advisors that use alternative investment strategies as a way to mitigate downside risk within an overall portfolio. Institutions have used alternative strategies for quite some time as a way to “smooth out the ride.” In addition, some investment managers using sophisticated tactical strategies have incorporated leverage and shorting strategies as alternative ways to either hedge or add alpha to a portfolio. However, the mistaken assumptions about alternatives remain prevalent for many individuals, advisors, and institutions. I will review some of the most commonly stated misconceptions about alternative investments, followed by brief explanations. Misconception #1: Alternative strategies are too volatile and only suited for aggressive investors. Both financial advisors and investors tend to use alternative strategies as a way to mitigate risk, and these strategies have displayed the ability to dampen volatility when added to traditional stock and bond portfolios. Using alternatives could potentially be just as suitable for a conservative investor as a more aggressive investor. Many investment firms tend to include alternative strategies as part of a client’s overall asset allocation regardless of risk profile. In fact, many institutions have incorporated the use of alternatives within their portfolios partly for capital preservation. Misconception #2: All alternative investment strategies are created equal. It is important to recognize that certain alternative strategies might have different risk/return characteristics. This means that certain alternatives and their appropriate allocations depend on the individual investor’s risk profile. In a number of cases, some alternative strategies have a low correlation to each other as well as to stocks and bonds. This is why many investment firms’ asset-allocation models recommend allocating across multiple alternative investment categories. Misconception #3: Alternative investments are only geared toward high-net-worth and institutional investors and are off-limits to retail clients. Although this might have been true for most alternative strategies some time ago, different types of alternative investments have been made available to retail clients within mutual funds, ETFs, and the strategies of third-party money managers over the last several years. Alternative strategies such as absolute return/hedge funds, managed futures, currencies, commodities, long/short equity strategies, and global macro strategies have become available to the retail investor, either directly or through their financial advisor. The liquidity, transparency, and regulatory oversight of alternative mutual funds and ETFs have made investing in alternative strategies more palatable to both retail and institutional clients. In fact, the emergence of alternative strategy mutual funds was made evident by Morningstar and Lipper creating distinct categories for different alternative strategies. Tactical strategies used by third-party active managers have gained new, more sophisticated tools that can now be used on behalf of clients with relatively modest portfolios, not just high-net-worth clients. Misconception #4: Alternative investments should be viewed as stand-alone investments. Although some alternative strategies have different risk/return profiles, when looking to add them to a portfolio, they should be viewed more as part of an overall portfolio mix. Institutions have used this idea for some time now, but retail advisors have only done so relatively recently. Many of the larger advisory firms are doing a good job of educating their advisors about the need for alternatives and the impact they can have within portfolios. 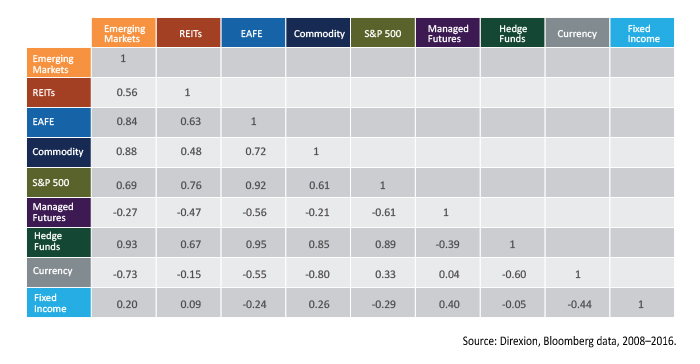 Similarly, third-party investment managers who employ active, tactical strategies that can address various types of market environments find that alternatives offer a relatively noncorrelated risk-management tool as part of a total portfolio mix. Misconception #5: Absolute-return strategies must show positive returns in every calendar year. This relative outperformance was also true for certain other categories of alternatives, especially gold, which had positive single-digit price appreciation in 2008. One should look at an alternative investment over a sustainable period and full market cycles to really determine its value. No investment that is part of a longer-term solution should be viewed on a short-term window. Misconception #6: Incorporating a small percentage of alternatives investments within a portfolio constitutes an adequate level of diversification. For financial advisors dealing with mass affluent clients, especially those of the baby boomer generation, alternatives can play an important role in the strategies available to their clients through third-party managers who employ holistic portfolio solutions and tactical strategies. When a tactically-oriented money manager is making determinations on what asset classes to include, or which to over- or underweight, it is important for them to be able to take advantage of market fluctuations regardless of market direction. By incorporating alternative strategy tools such as leveraged and inverse ETFs, commodities, or managed futures, for example, it gives them the ability to potentially profit in any market cycle. And alternatives most certainly provide additional tools to mitigate portfolio risk. The ability to use a wide variety of investment choices is one factor separating successful long-term tactical managers from long-only managers who generally do not have the investment tools to benefit clients outside of a bull market. Alternative assets used to be a hidden corner of the financial world. Until the financial crisis, many investors thought that sticking to traditional equities and fixed-income investments was just fine. Alternative assets were a black box, expensive to invest in and hard to understand. No longer. 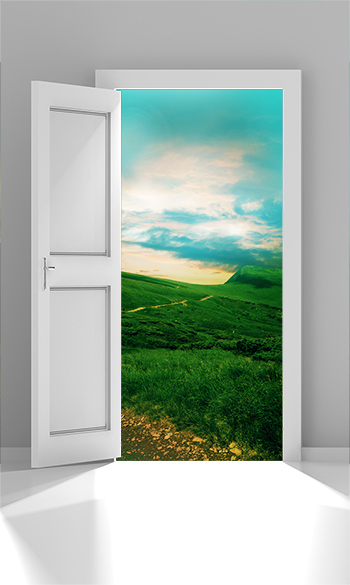 … Greater access means that alternatives are becoming mainstream. 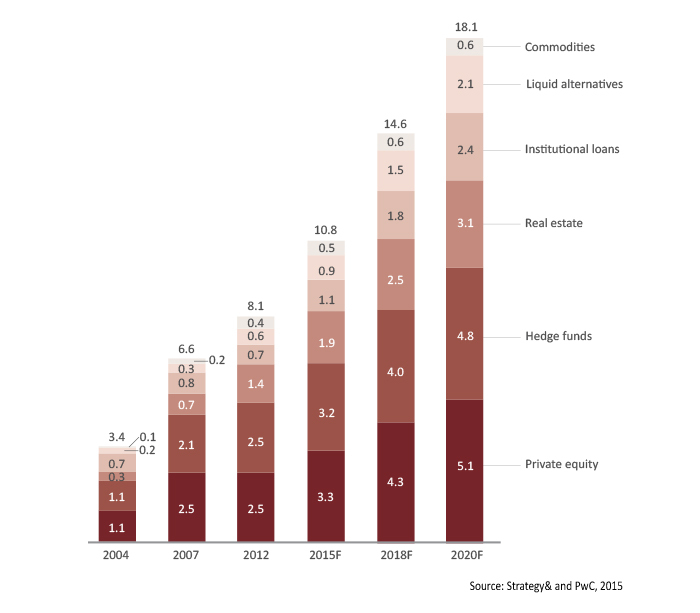 The surge of investment in alternative assets has made them a central focus in asset management. An investor should consider the investment objectives, risks, charges, and expenses of the Direxion carefully before investing. The prospectus and summary prospectus contain this and other information about Direxion. To obtain a prospectus or summary prospectus, please contact the Direxion at 800.476.7523. The prospectus or summary prospectus should be read carefully before investing. An investment in the ETFs involves risk, including the possible loss of principal. The ETFs are nondiversified and include risks associated with concentration that results from the Funds’ investments in a particular industry or sector which can increase volatility. The use of derivatives such as futures contracts, forward contracts, options and swaps are subject to market risks that may cause their price to fluctuate over time. The funds do not attempt to, and should not be expected to, provide returns which are a multiple of the return of the Index for periods other than a single day. For other risks including leverage, correlation, compounding, market volatility and specific risks regarding each sector, please read the prospectus. Distributor for Direxion Shares: Foreside Fund Services, LLC.